From the gasoline explosions that move those old-fashioned non-electric cars to the match that lights the fire in the fireplace, explosives have been a part of daily life for most of the world's population for some time. The mixture of chemicals in a kitchen match is in many ways quite similar to black powder. You can smell the sulfur, and from the rapid flare of the first strike, you can tell there is a powerful oxidizer in the mix. To get it started, there is a little extra something — the element phosphorus in some form. That form makes the difference between safety matches and "strike-anywhere" matches. In a safety match, the phosphorus is on the outside of the box or book of matches, and is in its stable red form, mixed with glue and powdered glass. The glass is there to add friction and sand off tiny particles of the match head when it is struck. The red form of phosphorus is the amorphous form, where the bonds between the atoms are relaxed and unstrained. 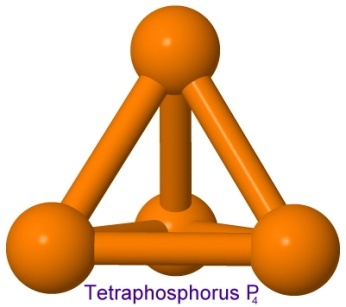 The more reactive white form of phosphorus is a tetrahedron of four phosphorus atoms, where the bonds are strained, and store energy that can be released easily. We have seen these strained bonds in several explosive compounds earlier, in powerful explosives such as CL-20, octanitrocubane, and TNAZ. White phosphorus will burn in air at room temperature, producing the glow that gives the name to "phosphor" and "phosphorescence", even though today these effects are achieved using much safer molecules. When the head of a safety match is rubbed against the striker, a tiny bit of the red phosphorus is heated by the friction to a temperature at which it changes form, and becomes white phosphorus. This hot white phosphorus mixes with the air, but also with the many tiny particles of sulfur and oxidizer from the match head. The match head catches fire, and flares strongly until all the oxidizer is used up. The oxidizer is potassium chlorate. In 1787, the French chemist Clause-Louis Berthollet bubbled chlorine gas through a hot solution of potassium hydroxide and was the first to create this compound. It is still sometimes referred to as Berthollet's salt. He found that it exploded violently when mixed with carbon, which made him think it would be a good idea to make gunpowder with it instead of saltpeter. The result is so unstable that the first public demonstration of the new chlorate gunpowder killed five people. In the match head, this instability helps to start the fire. When mixed with ingredients that are very easy to ignite, like sulfur or antimony trisulfide (another ingredient sometimes used in matches, despite its toxicity), it is so easy to ignite that we can light a match with a flick of a finger. Adding phosphorus to potassium chlorate produces a primary explosive so easy to detonate it is used to make paper percussion caps for toy cap guns. In the safety match, the phosphorus is kept separate from the chlorate until the user brings them together by striking the match. In strike-anywhere matches, the phosphorus is in the form of phosphorus sesquisulfide. Phosphorus sesquisulfide was first prepared by the French chemist Georges Lemoine in 1864. In 1898, Henri Sevene and Emile David Cahen, working for the French government's match monopoly, first used it in matches, to replace the white phosphorus that was previously used. Matches had become such a staple of life that the production of them was not only a monopoly of the government, but was a significant health problem. The white phosphorus was causing a debilitating disease called "phossy jaw". Once a workable substitute had been found, governments around the world started banning (or in the U.S., punitively taxing) matches made from white phosphorus. The tips of strike-anywhere matches are actually an explosive. You can detonate them by hitting them with a hammer. They are mostly phosphorus sesquisulfide and potassium chlorate, with a little binder and some glass powder, which absorbs heat and stays hot, thus helping to keep the reaction going. 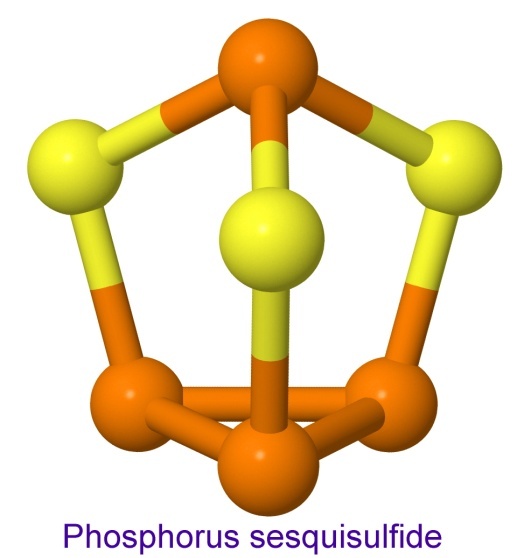 The rest of the head is the same, but with some of the phosphorus sesquisulfide replaced with sulfur. There is some wood rosin and a bit of paraffin to provide fuel to keep the match burning. That fuel is needed, because the wooden sticks have been coated with a fire retardant (ammonium phosphate) so the match goes out before it reaches a finger. Safety matches have antimony trisulfide and sulfur mixed with the potassium chlorate, glue, and powdered glass. The antimony trisulfide is easier to ignite than sulfur, and safety matches need some help, since the phosphorus is on the box, not in the match head. The first matches, like the first black powder, were made in China. Pinewood sticks coated in sulfur were used to restart cooking fires. They had to be lit by pressing them into a hot coal from the damped fire of the day before, but they saved time that would otherwise be spent blowing on the hot coal after adding some other flammable material. The sulfur was flammable enough to work without the extra wind. In 1669, the alchemist Hennig Brandt discovered phosphorus by boiling down 1500 gallons of urine in an effort to make silver. He had gone to the German army to get permission to collect urine from all the soldiers at the camp. The phosphates in the urine gave their oxygen to the carbon from organic matter in the liquid, and elemental phosphorus was left over. Brandt kept the secret of his preparation, in an effort to sell it. In 1677, Johan Crafft, on a visit to the polymath Gottfried Wilhelm Leibniz (known for inventing calculus), told the court of the Duke of Hanover about Brandt's discover of a cold fire. Leibniz writes that it can be rubbed on the face and clothes to create light (and "very pretty effects"), and that it does not ruin the clothes (don't try this at home — phosphorus burns are awful, and take a long time to heal). Leibniz contacted Brandt and told him the Duke would like to hire him on a monthly basis to tell the court about his discoveries. Johan Kunckel, the alchemist we earlier discussed as the one to first discover mercury fulminate, had also heard of Brandt through Crafft. Like Crafft, he also offered Brandt money for his invention, but he made the mistake of mentioning his plans to Crafft. Crafft and Leibniz immediately offered Brandt a substantial amount of money not to tell Kunckel the secret. Brandt told Kunckel he was unable to reproduce his results. Much later, claiming to be fed up with Crafft, Brandt came back to Kunckel, offering to sell the secret. By then, Crafft had traveled to England, showing off the new cold fire. He showed it to the English chemist Robert Boyle, but would not tell him the secret of how to make it, instead, just hinting that it came from "somewhat that belonged to the body of man". Whether it was that clue, or the visit his assistant Ambrose Godfrey-Hanckwitz made to see Brandt in Hanover, Boyle was able to produce his own phosphorus. The key was the very high temperatures Brandt had used. Boyle and Godfrey-Hanckwitz improved on the method, adding sand to take up the sodium from the phosphate, and Godfrey-Hanckwitz went on to produce it on an industrial scale. Phosphorus was still being made from human urine, until in 1769, Swedish chemists Johan Gottlieb Gahn and Carl Wilhelm Scheele (having read Kunckel's papers) showed that bones are made from calcium phosphate, and extracted phosphorus from the ashes of bones. This discovery eventually made Sweden the world's leader in the manufacture of matches. Scheele went on to discover oxygen in 1771, and the elements barium, manganese, molybdenum, tungsten, and chlorine, before dying at age 43 from heavy metal poisoning. He was known to sniff and taste any new substances he had discovered. In the 1840's, phosphates from bat guano deposits were used to make phosphorus and by 1850, phosphate rocks were used, replacing the bone ash. The rocks contain calcium phosphate, and produced phosphorus when heated with coke and sand in an electric arc furnace. The first self-igniting match didn't bother with phosphorus, however. 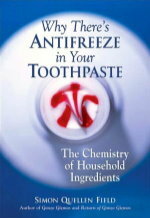 In 1805, chemist Jean Chancel invented it. A mix of potassium chlorate, sulfur, sugar, and rubber made up the match head. These were dipped into a little bottle made of asbestos that contained sulfuric acid. The reaction started the fire. A mix of potassium chlorate and powdered sugar ignited by sulfuric acid is still a common demonstration in chemistry classes. The first friction match was invented by Frenchman François Derosne in 1816. His sulfur-tipped sticks were rubbed against the inside of a tube coated with phosphorus. A slightly more convenient and commercially successful friction match was invented in 1826 by English chemist John Walker. He again did not bother with phosphorus, but used potassium chlorate, antimony trisulfide, sulfur, and glue. Without the phosphorus, he had to fold over a piece of sandpaper and pull the match through it. As anyone who has failed to strike a safety match the first time would expect, the results were not always reliable. It was the French chemist Charles Sauria who thought of replacing the antimony trisulfide with white phosphorus. With less sulfur odor, these matches were more popular than Walker's were. In 1850, Austrian chemist Anton Schrötter von Kristelli found that heating white phosphorus to 250° Celsius (without oxygen) turned the white form into the amorphous red form, which did not have the toxicity of tetraphosphorus, and did not fume and glow in air. However, it was more expensive than the white form, which was used in matches until Sevene and Cahen made their phosphorus sesquisulfide version. Be it known that we, HENRI SEVENE and EMILE DAVID CAHEN, citizens of the Republic of France, residing at Paris, France, have invented Inflammable Paste for the Manufacture of Matches, of which the following is a specification. Experience shows that matches that are sensitive at all their surfaces and are capable of being easily transported can be manufactured by employing mixed pastes containing a mixture of white phosphorus and an oxidizing body such as chlorate of potash, bichromate of potash, and the oxids of lead or of manganese; but these pastes present from the point of view of hygiene well-known inconveniences. We have tried to substitute for white phosphorus in the mixed pastes a body which, while being harmless to the health of the workpeople, might enjoy its essential properties of possessing a definite chemical composition and being easily inflammable. The sesquisulfid of phosphorus fulfils these prime conditions. Moreover, it offers a sufficient resistance to moisture and to atmospheric agents. It can be manufactured industrially and obtained in the state of purity by distillation. The matches manufactured with mixed pastes containing this sesquisulfid, oxidizing bodies, inert matters, and glues are satisfactory and can furnish all the degrees of sensitiveness desired by slight variations in the relative proportions in which the materials are used. We will give by way of example the following composition: sesquisulfid of phosphorus, ninety grams; chlorate of potash, two hundred grams; peroxid of iron, one hundred and ten grams; zinc white, seventy grams; powdered glass, one hundred and forty grams; glue, one hundred grams water, two hundred and ninety grams. We are aware that efforts have often been made to employ in the preparation of mixed pastes for matches a mixture of amorphous phosphorus and sulfur either in powder or in the state of fushion but these mixtures do not answer the purpose sought. They differ essentially from the sesquisulfid of phosphorus that we employ in that this last body is a perfectly definite composition that is very stable, resists moisture, as well as the atmospheric agents, and can easily be utilized and manipulated industrially. The reference to the "health of the workpeople" is in recognition of the strikes at English match factories in 1888, over the health concerns of working with white phosphorus. Various countries banned white phosphorus matches in the years that followed, and on September 26, 1906, the Berne Convention banned them in all countries by international treaty. Manufacture was banned, as well as imports and sales. Gustaf Erik Pasch was a professor of chemistry in Stockholm was granted a patent on the safety match in 1844. He had moved the phosphorus to a striking surface, away from the head of the match. When red phosphorus became available, the company making safety matches switched to it, in the mid 1850s. This is the type of match we use today. Moving on to more explosive devices, the toy cap gun was introduced in the U.S. by firearms companies that no longer had a huge market after the end of the Civil War. 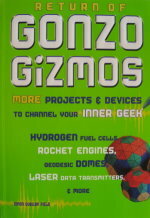 After World War II, with the advent of television westerns, the products became very successful. The paper caps for the guns held a tiny drop of red phosphorus and potassium chlorate between a paper bottom sheet and a tissue paper top sheet. The mixture was less dangerous to manufacture than you might expect, because water was used to make a paste of the two ingredients, and only allowed to dry later. Later versions used small plastic cups in a plastic wheel. Some used a form of black powder with powdered zinc added to make the powder more impact sensitive. Another explosive toy is the Party Popper. It also uses red phosphorus and potassium chlorate, ignited by a pull-string, and shoots tiny rolls of fireproof paper that unwind to festoon merry-makers at New Year's Eve parties. 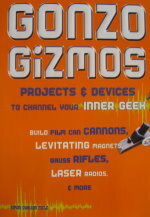 The Big Bang Cannon uses calcium carbide powder to create acetylene gas when mixed with water in the cannon. A spark from a flint then ignites the gas, producing a very loud report, and a flash of sooty orange flame. A little toy that goes by various names, such as Snaps, Silver Torpedoes, Pop-Its, Throwdowns, snappers, and Bang Snaps, are little tissue-paper bags of sand, with a tiny amount (less than a tenth of a milligram) of silver fulminate coating the sand grains. They explode when thrown on the ground, stepped on, or just rubbed between finger and thumb. The sand prevents the explosion from causing much damage by absorbing most of the impact. Crackerballs are the larger cousins of Snaps. Made with a fulminating gunpowder mix made from potassium chlorate, antimony trisulfide, carbon black, aluminum powder and sand, they are manufactured in wet form for safety, and dried slowly after being coated in a form of papier-mâché. When thrown on the ground or against a wall, they make a much louder explosion than Snaps do. Estes rocket engines are cardboard tubes filled with a compressed black powder, with a clay nozzle pressed onto one end. They are ignited by a hot wire, sometimes coated with a pyrotechnic mix of nitrocellulose and black powder. Jetex was a small rocket engine for model airplanes. Developed in 1947, it was popular until the mid-1970s. They were aluminum jars with a small hole for a nozzle. The user filled them with a slug of guanidinium nitrate, an explosive that burns cool and produces a large amount of gas. As a jet engine for model airplanes, it featured an acceleration low enough not to rip the wings off the model, and ran cool enough not to burn the balsa wood.